How does Bob’s Red Mill Natural Foods use social media to spread brand awareness, build trust and transparency and bridge the gap between conscientious shoppers and farmers around the globe? We chatted with Cassidy Stockton, Social Media Manager at Bob’s Red Mill to hear their story. Apple pies cooling on a windowsill, steaming hot porridge on a winter’s morning, freshly baked cookies. Some things in life are truly timeless, and homemade baking is one of them. But as shoppers become more conscientious about buying sustainable, organic and gluten free products, how do farmers and established businesses in the industry adapt and keep up with the changing market? How does a local business spread brand awareness, build trust and transparency and bridge the gap between customers and farmers around the globe? Like so many businesses looking to expand into global localized markets, Bob’s Red Mill turned to social media to build strong relationships, provide excellent social customer service and to share recipes and stories that inspire healthy living and sustainable farming. The founder, Bob Moore is the face of the brand – both on and offline. There is something familiar and trustworthy about his salt-of-the-earth demeanour that helps customer connect with the brand on a personal level. To help spread brand awareness on Twitter, Bob’s Red Mill curates user-generated content by retweeting recipes shared by customers, while sharing their own along with delicious-looking Instagram images. Their Facebook Page and Google+ Page on the other hand, lean toward building an online community where customer success stories are shared, images of seasonal local farm produce are showcased and customers can connect one-on-one with the brand. Tapping into video, Bob’s Red Mill YouTube channel features Bob (much like a 90s cooking show) educating customers on sustainable farming practices and explaining the different available grains. To manage and monitor each of these profiles for social marketing, Cassidy’s team needed a powerful social relationship platform. “Recently, we’ve experimented with promoted Tweets and Facebook advertising to support some of our campaign messaging,” said Cassidy. Conscious that they want to be be strategic with their promoted ads, Bob’s Red Mill is able to use powerful social media analytics to identify the most compelling messages and turn the best into ads. These proven-to-be-engaging messages will then reach new customers and connect better with existing ones. “Besides spreading brand awareness, we use our social media channels to act as a powerful customer service tool. HootSuite makes it easy to effectively listen to and engage with our customers” – Cassidy Stockton. Because Bob’s Red Mill is ever-present across multiple social networks, they’re well equipped to catch any customer service inquiries or concerns in those channels. Faster customer service response rates on social media directly correlates with increased customer satisfaction. And with robust analytics, this success can be measured and monitored campaign over campaign. “With analytics, we monitor our engagement numbers, track social customer service sentiment charts and celebrate increased number of new followers after social marketing pushes using analytics” – Cassidy Stockton. Thank you Cassidy Stockton and Bob’s Red Mill Natural Foods for chatting with us! To spread brand awareness, build trust and transparency and bridge the gap between conscientious shoppers and businesses around the globe like Bob’s Red Mill does, try HootSuite. For Bob’s Red Mill Natural Foods, a distinctive stone grinding miller of whole grain natural foods, their customers can have their cake and eat it too. Offering a wide variety of more than 400 whole grain products, Bob’s Red Mill produces the widest selection of natural, certified organic and gluten free flours, cereals and mixes available anywhere. 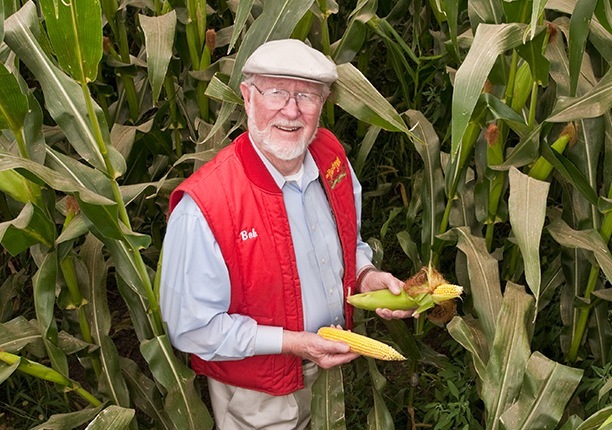 Since 1978, Bob Moore and his loyal staff of 350 employee-owners have been serving up trusted gluten free and organic grains to local customers everywhere. 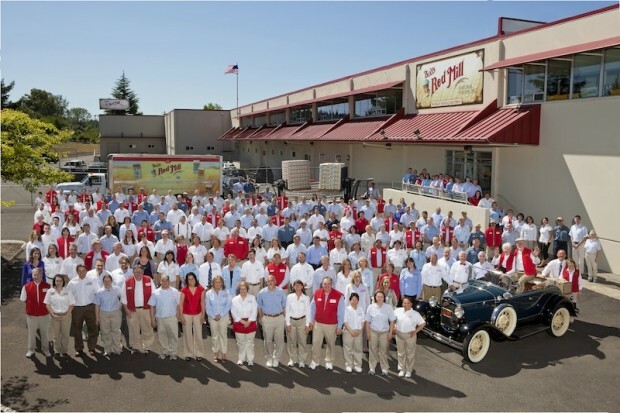 Based in Oregon, Bob’s Red Mill products are available in nearly every grocery store across North America and are now distributed in Great Britain, Australia, Hong Kong and Saudi Arabia. This story is available for download!